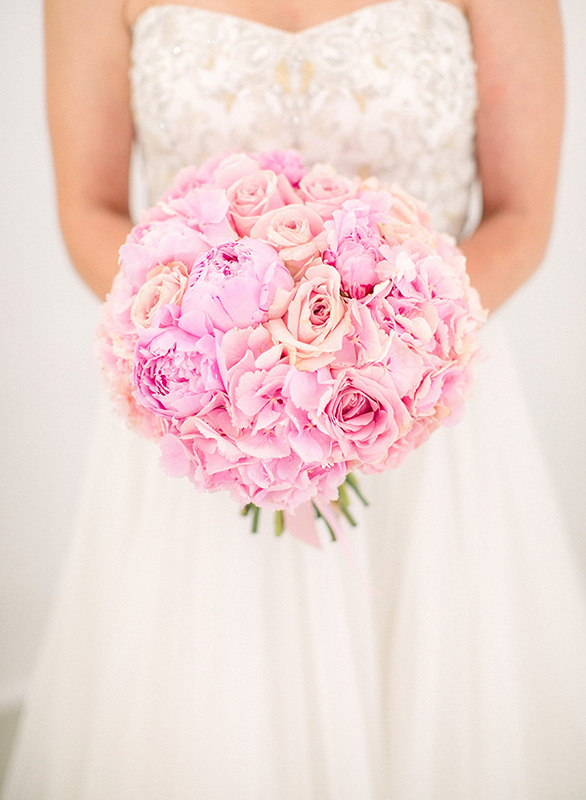 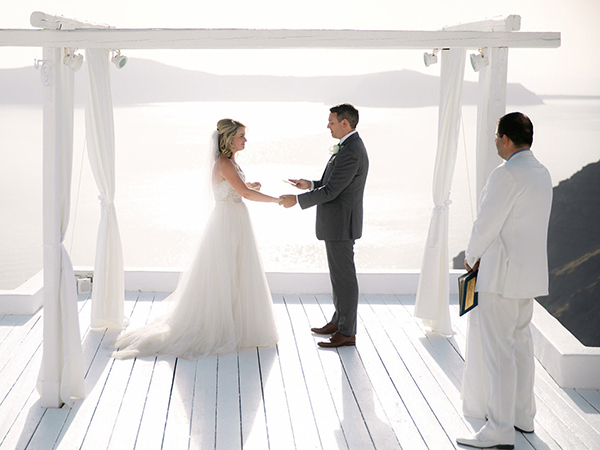 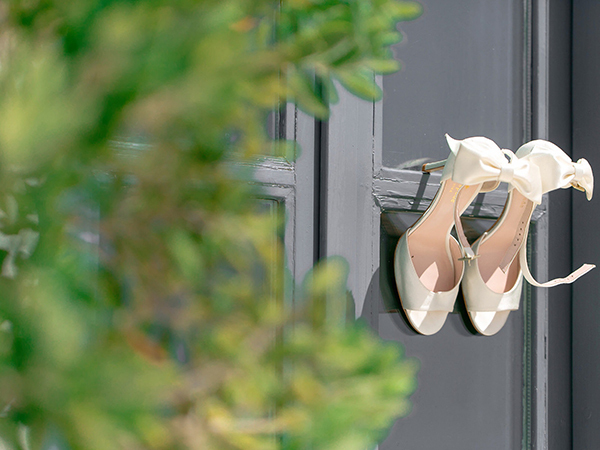 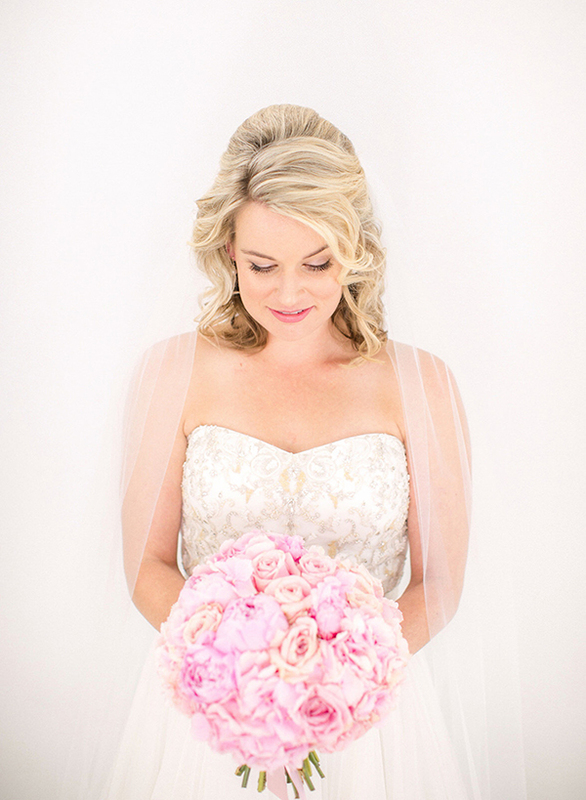 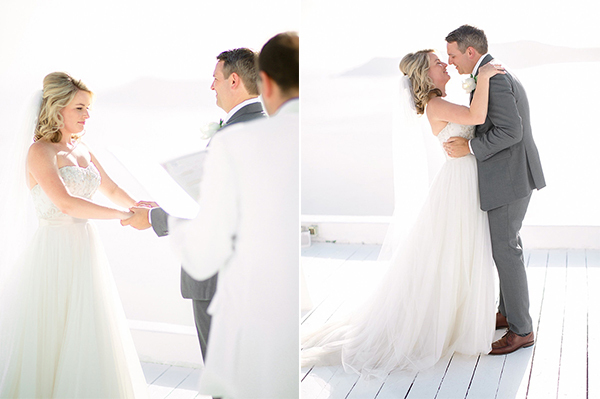 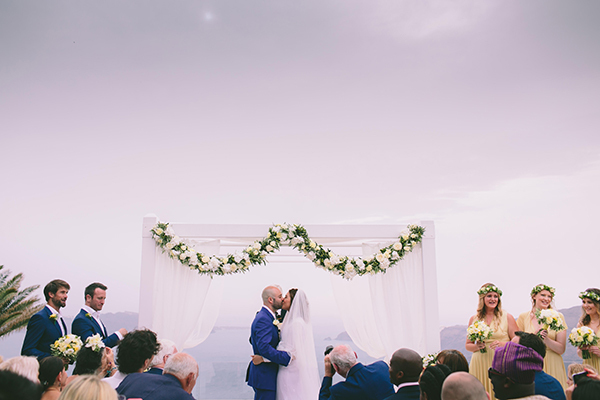 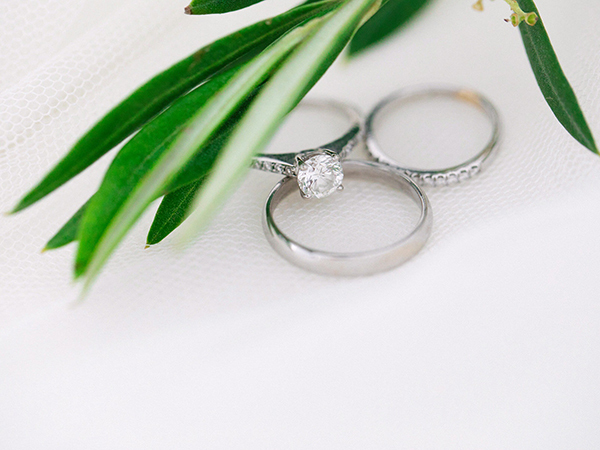 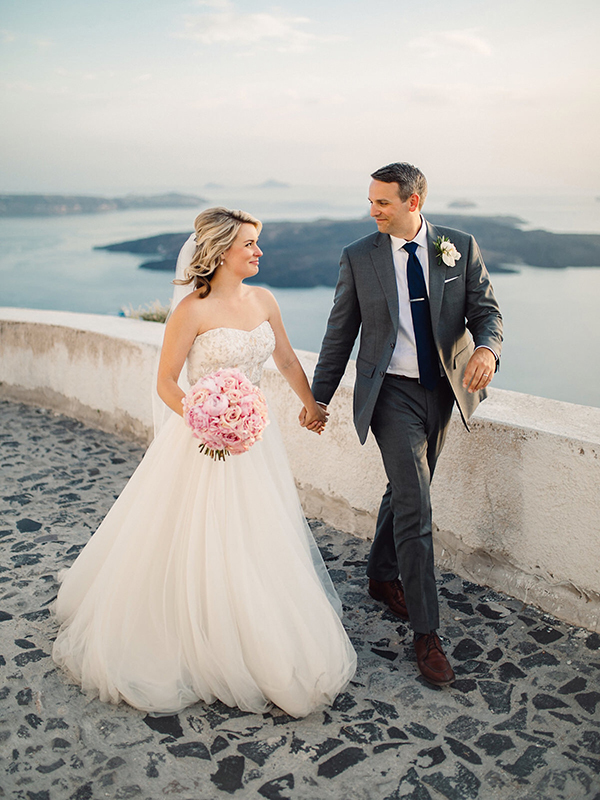 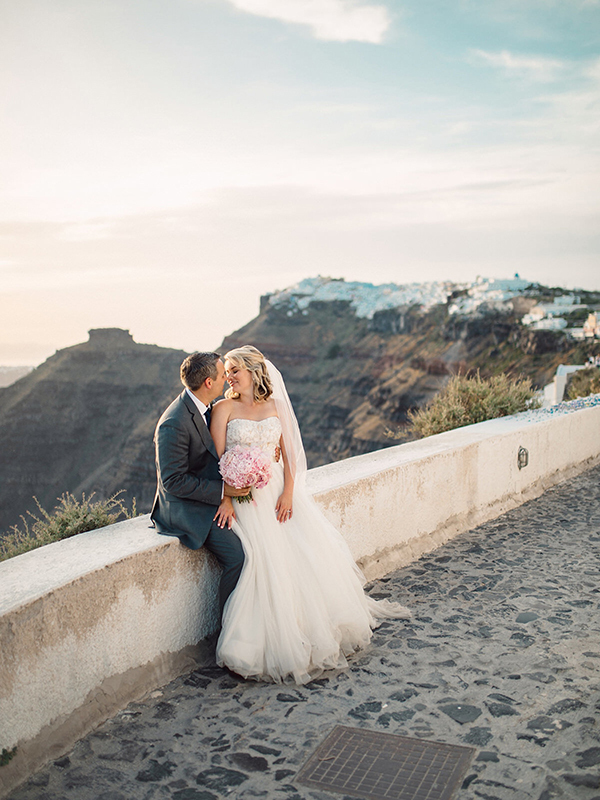 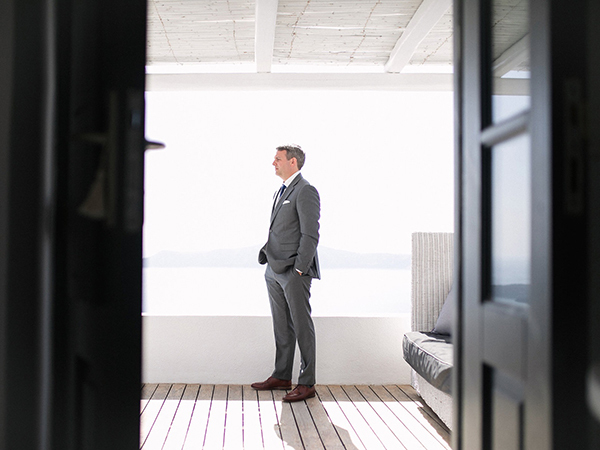 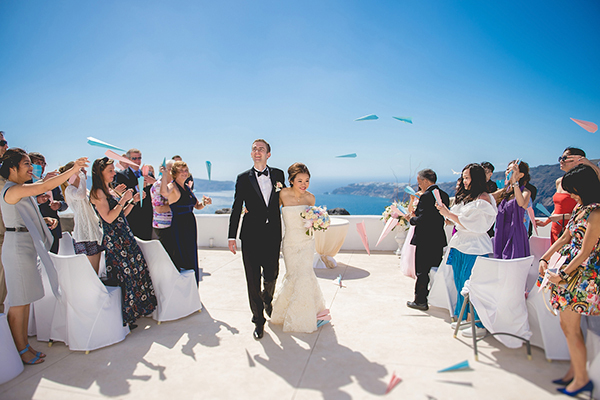 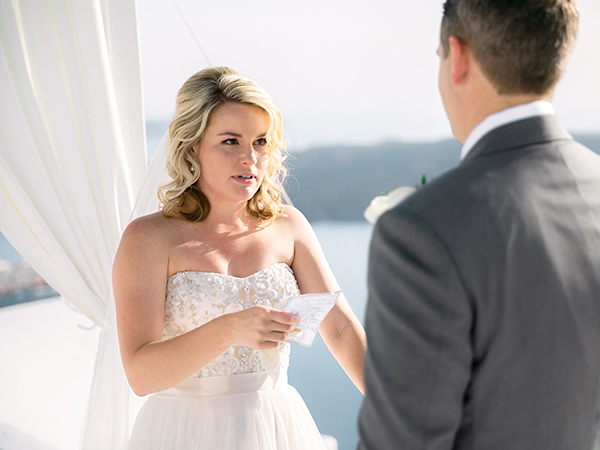 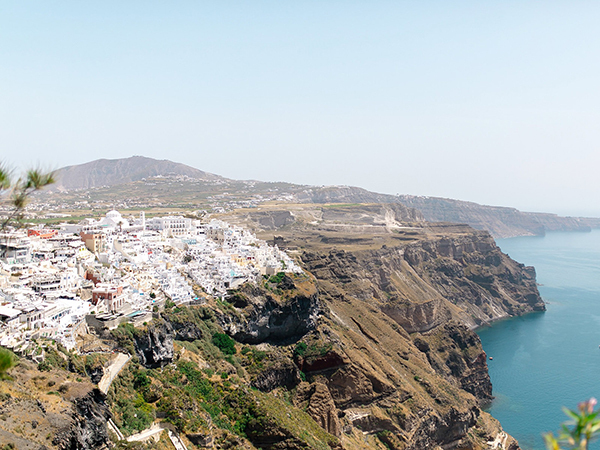 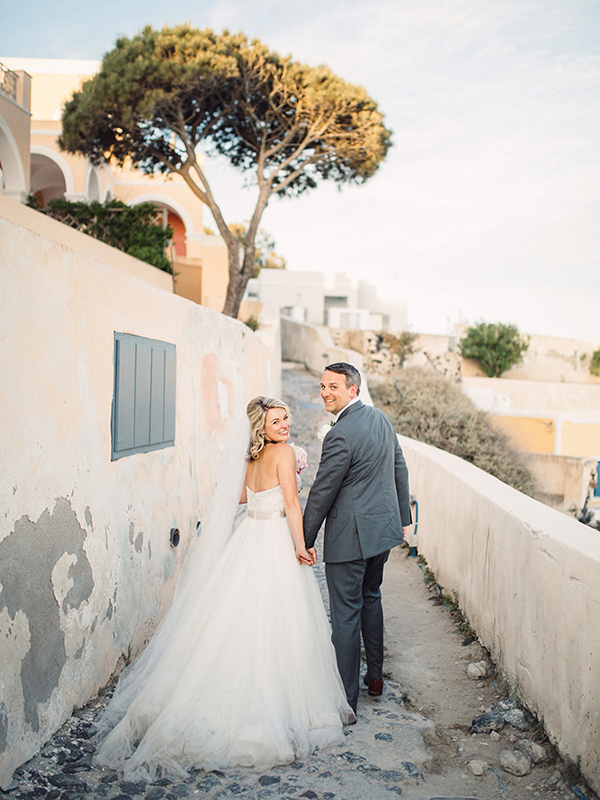 We’re obsessed with this dreamy wedding in Santorini! 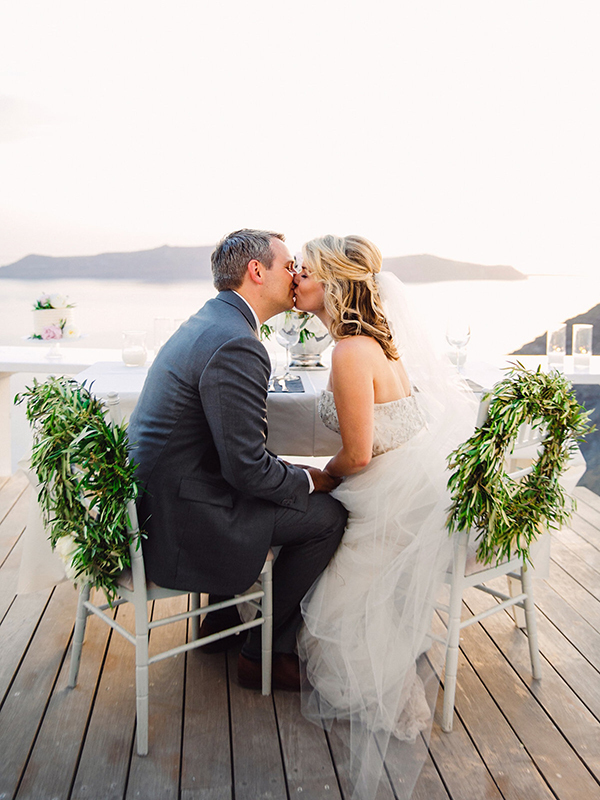 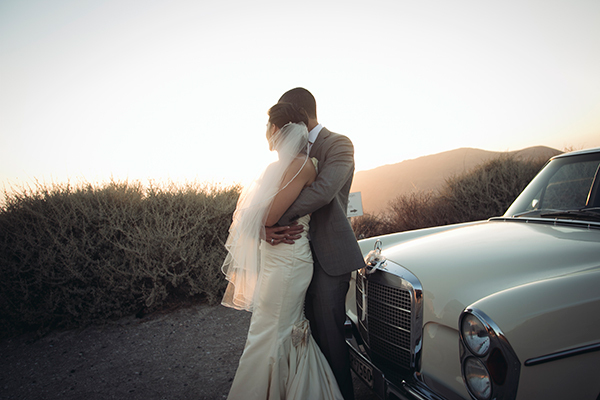 Katia and Brian get married in one of the most beautiful Greek islands, with the well-known and magical sunset. 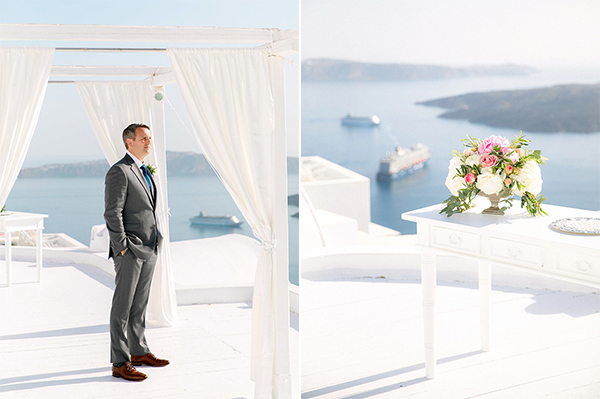 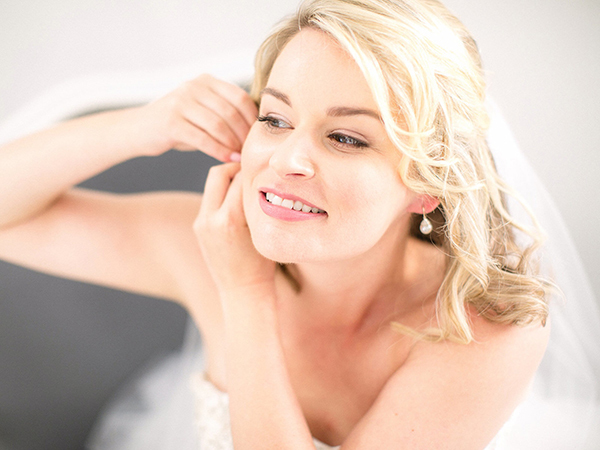 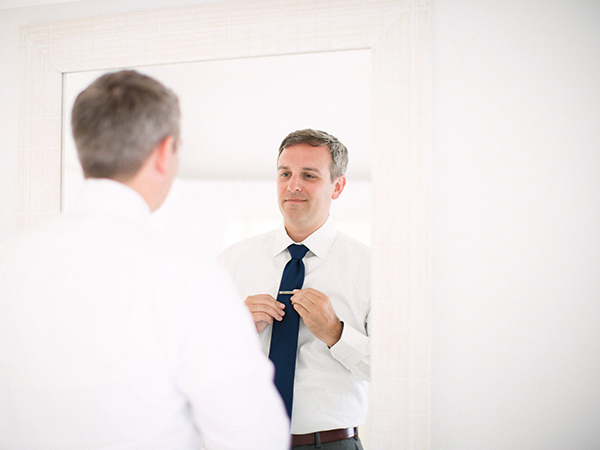 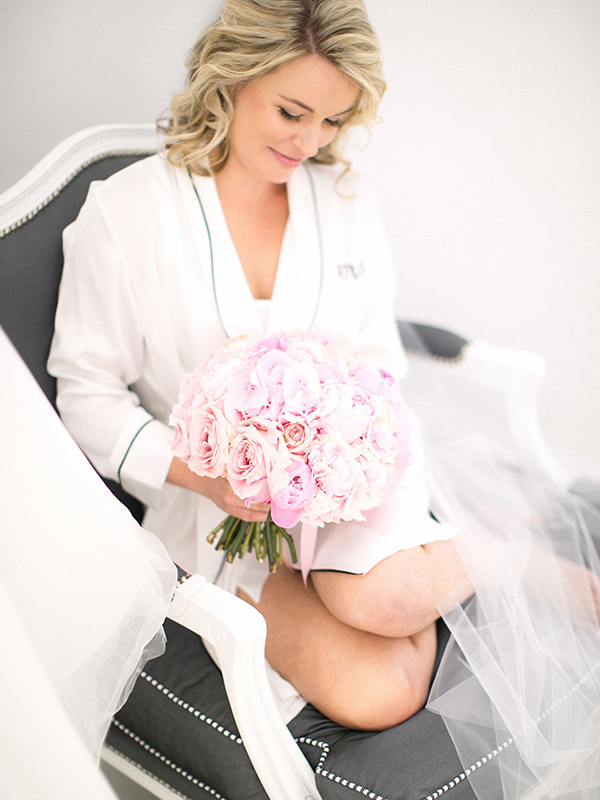 They had an intimate wedding overlooking the calm, blue sea and the graphic architecture of the small, white houses. 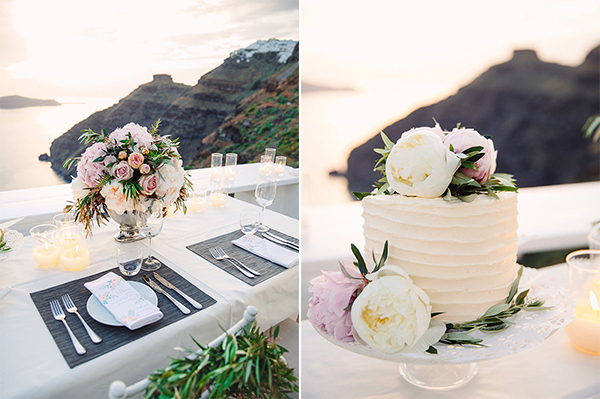 After the ceremony, the couple enjoyed a dinner full of romance. 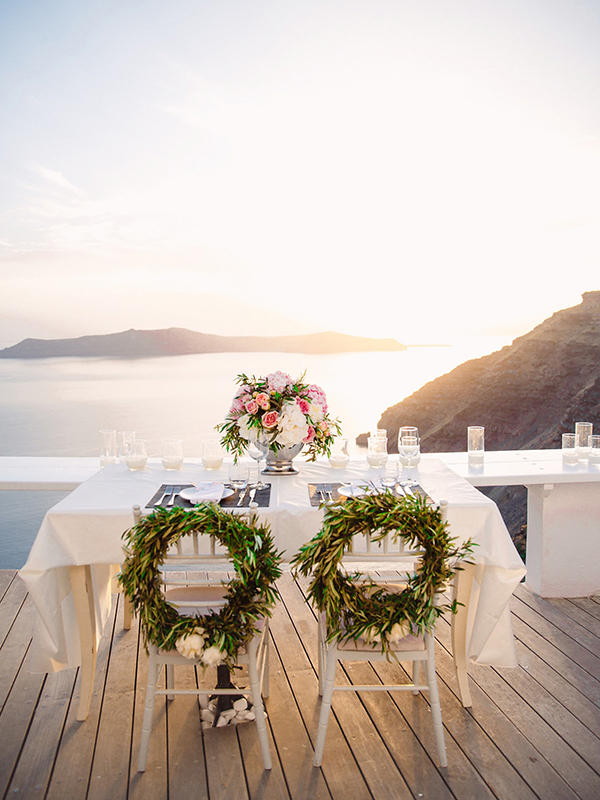 A balcony with a breathtaking view was decorated with an elegant table, flowers in pink and white colors and many candles that created a warm atmosphere. 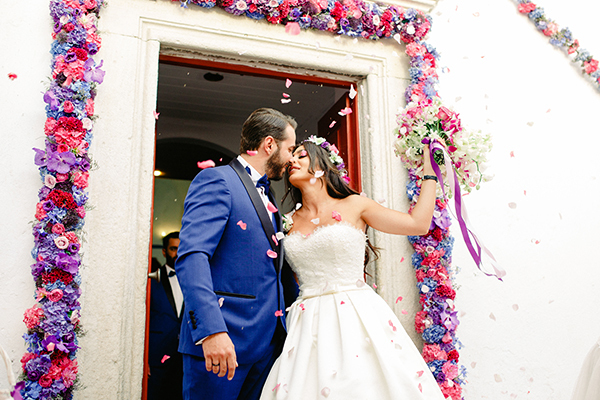 Just like a dream!